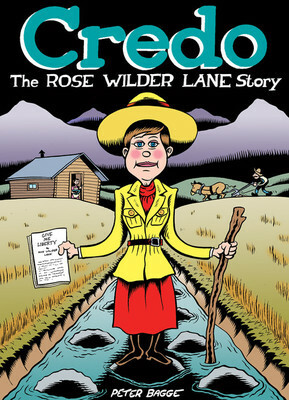 Peter Bagge returns with a biography of another fascinating twentieth-century trailblazer–the writer, feminist, war correspondent, and libertarian Rose Wilder Lane. Following the popularity and critical acclaim of Woman Rebel: The Margaret Sanger Story and Fire!! The Zora Neale Hurston Story, Credo: The Rose Wilder Lane Story is a fast-paced, charming, informative look at the brilliant Lane. Among other achievements, she was a founder of the American libertarian movement and a champion of her mother, Laura Ingalls Wilder, in bringing the classic Little House on the Prairie series to the American public. Much like Sanger and Hurston, Lane was an advocate for women’s rights who led by example, challenging norms in her personal and professional life. Anti-government and anti-marriage, Lane didn’t think that gender should hold anyone back from experiencing all the world had to offer. Though less well-known today, in her lifetime she was one of the highest-paid female writers in America and a political and literary luminary, friends with Herbert Hoover, Dorothy Thompson, Sinclair Lewis, and Ayn Rand, to name a few. Bagge’s portrait of Lane is heartfelt and affectionate, probing into the personal roots of her rugged individualism. Credo is a deeply researched dive into a historical figure whose contributions to American society are all around us, from the books we read to the politics we debate. Peter Bagge is the Harvey Award–winning author of the acclaimed nineties alternative-comic series Hate, starring slacker hero Buddy Bradley, and a regular contributor to Reason magazine. A graduate of the School of Visual Arts in New York City, he got his start in comics in the R. Crumb–edited magazine Weirdo. Bagge lives in Seattle with his wife, Joanne, their daughter, and three cats. From plagiarism to popularity, vartisty sports to vocational classes, GPA’s to graduation, you’ll find all the details right here.High school can be overwhelming, but this book will give you the lowdown on what to expect during the most exciting, challenging four years of your life. 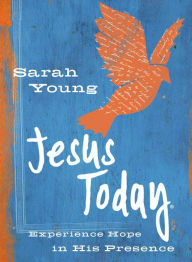 Jesus Today® was written during a very difficult time in Sarah Young’s life. Yet the words of Scripture and Jesus’ own Presence were ever near, bringing her hope and comfort for each new day. Whether you need a lifeline to lift you out of discouragement or are simply longing for an encouraging boost in your day, this devotional—a sequel to the #1-bestselling Jesus Calling®—will speak powerful hope into your life. Based on truths in Scripture, it is written as if Jesus Himself is assuring you that He is in control, that He is good, and that a glorious future awaits all who anchor their hope in Him. Reaching out with peace-filled reminders of Jesus’ Presence from the Word of God these devotions will intimately, quietly connect you with Jesus, the One who meets you right where you are. Sarah Young’s devotional writings are personal reflections from her daily quiet time of Bible reading, praying, and writing in prayer journals. With sales of more than 16 million books worldwide, Jesus Calling® has appeared on all major bestseller lists. Sarah’s writings include Jesus Calling®, Jesus Today™, Jesus Lives™, Dear Jesus, Jesus Calling® for Little Ones, Jesus Calling® Bible Storybook, Jesus Calling®: 365 Devotions for Kids, and Peace in His Presence—each encouraging readers in their journey toward intimacy with Christ. Jesus Always™, her first 365-day devotional since Jesus Calling, will be available October 2016. Sarah and her husband were missionaries in Japan and Australia for many years. They currently live in the United States. Time management is a challenge for everyone, but it is a particularly daunting challenge for teens. More than 70% of teens in the US struggle with time management and the numbers are growing. Teens are busier than ever and they lack the necessary tools to manage their time. 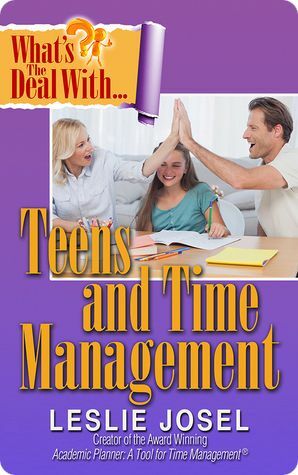 In this book, parents will learn the FIVE mindsets needed to start their teen on the journey of time management awareness; how to create a “Personal Homework Profile” to better understand how their teen tackles homework; how to help their teen create a time sense and develop “future awareness”; what FOMO is and how to manage it at home; how to kick procrastination to the curb; and so much more! What’s the Deal with Teens and Time Management: A Parents’ Guide to Helping Your Teen Succeed is available at Amazon. Time management is a challenge for everyone, but it is a particularly daunting challenge for middle and high school students. There is an expectation that at their age they should be independent and know how to get things done on their own. But teens are busier than ever. Between homework, school, afterschool activities, family, friends, jobs, and more, teens often find that their time is truly NOT their own. Add in the fact that they often lack the tools to manage their time; maybe it’s a little unrealistic for parents to expect their teenagers to instinctively know how to manage time. “What’s the Deal with Teens and Time Management” takes parents step-by-step through the basics of teaching their teens the time management skills they need to succeed—at school, at work and in life! This is a user-friendly guide full of best practice solutions for helping teens stay on top of their homework, avoid procrastination traps, get out the door in the morning with minimal conflict and manage the use of their electronics. In a readable, breezy and witty fashion, Josel opens the door to the world of time management, what it really means, why it’s important and why your teen probably doesn’t “get it.” And throughout the book, Josel offers up the “Triple Ts” – her tried and true Tips, Tools and Techniques – to provide support and guidance for parents looking to help their teens understand, develop and implement time management skills. The FIVE mindsets parents need to start their teen on the journey of time management awareness. How to create a “Personal Homework Profile” to better understand how your teen tackles homework. How to help your teen create a time sense and develop “future awareness”. How to pick an appropriate paper or electronic academic planner and how to properly plan their time. How to create a peaceful and calm morning routine to get your teen out the door in the morning without anxiety and frustration. Case studies, useful resources, Leslie’s straight talk and much, much more! Time Management is a Life Skill that Doesn’t Come Naturally to Everyone. It Can be Learned. Leslie Josel is the Principal of Order Out of Chaos®, an organizing consulting firm specializing in student organizing and chronic disorganization. Launched in 2004, Order Out of Chaos® offers organizing, time management and coaching services; provides family education and ADHD resources as well as teleclasses, webinars, videos, and products to hundreds of families. Leslie is a graduate of the JST Coach Training Program for teens and college students with ADHD. She is a Golden Circle member of the National Association of Professional Organizers (NAPO) and earned her Chronic Disorganization and Hoarding Specialist certificates from the Institute for Challenging Disorganization (ICD). 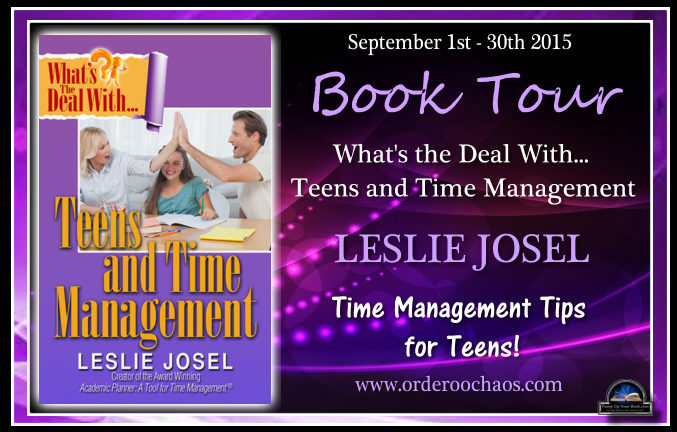 In 2015, Leslie’s second book, What’s the Deal with Teens and Time Management, a parents’ step-by-step guide to help teach their teens the time management skills they need to succeed in school, home and in life, was published. Leslie is also the creator of the award winning “Academic Planner: A Tool for Time Management,” a student planner that helps middle and high schoolers develop and master time management skills. 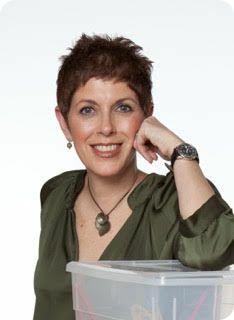 A respected resource on ADHD and Executive Functioning in students, Leslie speaks and conducts workshops nationally to parent and educator groups on a variety of issues and topics facing students today, including The Matan Institute, National Ramah Camping Commission, and Morgan Stanley. Leslie has also been featured in national broadcast and print media such as the Hallmark Channel’s “The Better Show”, “Conversations in Care” radio, The Associated Press, Family Circle Magazine, and Educational Dealer Magazine. Also known nationally as an expert on chronic disorganization and hoarding issues, Leslie has appeared on many episodes of TLC’s hit television show, “Hoarding: Buried Alive”, and the Cooking Channel’s television special, “Stuffed: Food Hoarders”. In 2014, Leslie received a Telly Award, the Internet/Online programming’s highest honor for her work on dLifeTV. She is also the co-author of the award winning “The Complete Diabetes Organizer: Your Guide to a Less Stressful and More Manageable Diabetes Life” (Spry, 2013). To sign up for Order Out of Chaos’ monthly newsletter, read their weekly blog, access free videos, resources and information or learn more about Leslie, visit their website at www.orderoochaos.com. Connect with Leslie on Facebook and Twitter. Find out more about Leslie at Goodreads. Look for my review coming later this week. It was supposed to be posted today, but I am away for a couple of days and haven’t finished it yet. 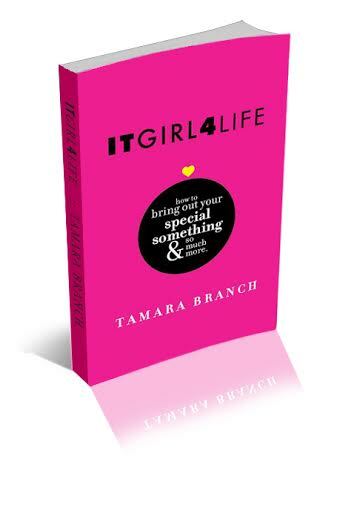 ITGIRL4LIFE by Tamara Branch inspires young women to embrace who they are so they can charge ahead with self-confidence. “You are magnificent. You are important. You matter.” These are the first few sentences that open this motivating short book by professional model and actor Tamara Branch. Her goal is to show young women how great they really are so they are poised to succeed in life. With advice about choosing wisely, loving yourself, accepting responsibility, celebrating your unique beauty, protecting yourself from wordly dangers, building character and more, Branch gives young women a strong foundation to build on. Perhaps a young woman has never considered her true worth. Maybe no one has ever told her how extraordinary she really is. Or maybe it’s time for a reminder of how much potential she has. No matter the reason, if you are looking for a book that will inspire greatness in a young woman you know, ITGIRL4LIFE is an excellent choice. 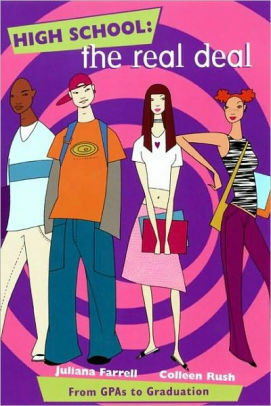 ITGIRL4LIFE is available at Amazon. I received a copy of this book from the author through Pump Up Your Book. This review contains my honest opinions, which I have not been compensated for in any way. After writing feature articles in magazines, newspapers, and online magazines for over fifteen years, J.Q. Rose entered the world of fiction by crafting cozy mysteries published by MuseItUp Publishing. With Girls Succeed she returns to her first love, writing about real people. Blogging, photography, Pegs and Jokers board games, and travel are the things that keep her out of trouble. 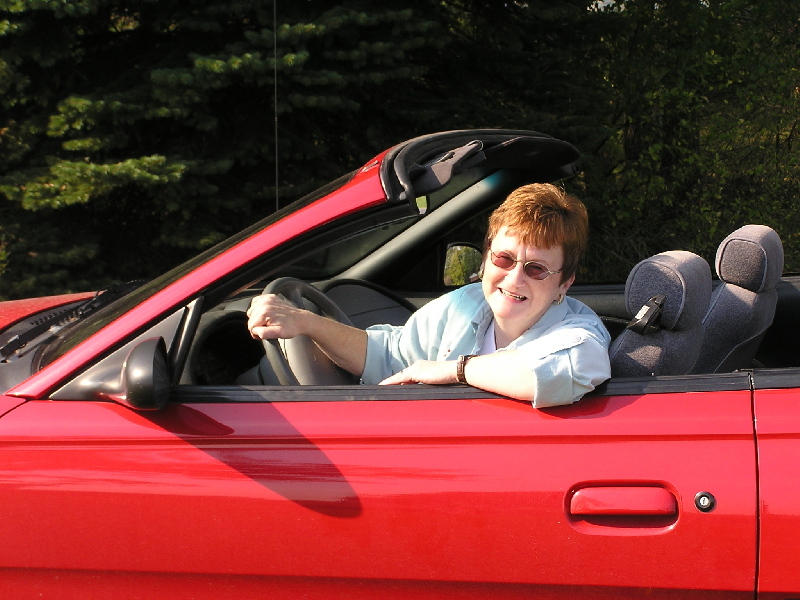 Spending winters in Florida with her husband allows Janet the opportunity to enjoy the life of a snowbird. Summer finds her camping and hunting toads, frogs, and salamanders with her four grandsons and granddaughter. I grew up in a small town in Central Illinois where the rich, fertile soil of the plains yields productive corn and soybean crops. My dad was the town undertaker and my mom taught second grade. That means I had to be a very good girl or everyone in town would tell my parents about me. There was lots of pressure to be good too because I felt if I messed up, it could ruin my father’s business. My mother was my teacher when I was in second grade, so in order to stay out of trouble, here I go again, I started writing stories. When I was in seventh grade I wrote my first “novel” which suspiciously echoed my favorite book, Black Beauty. My grandmother typed up the story I had scawled on a yellow tablet. The moment I saw my “manuscript,” in neatly typed paragraphs, I envisioned myself as a writer. 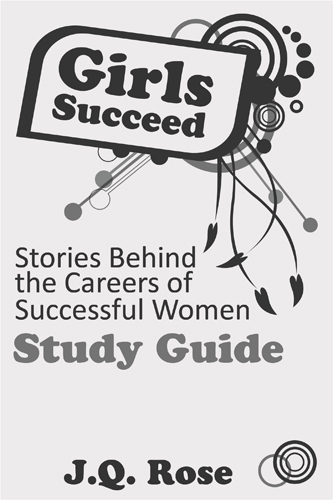 Girls Succeed: Stories Behind the Careers of Successful Women, a non-fiction e-book about careers, includes interviews with fifteen remarkable women who have achieved recognition for accomplishment in their occupations. This diverse group of careers encompasses women in the arts, business, science, medicine, ministry, entertainment, and sports. Stories include women who have stamped out disease, made people laugh, earned Olympic and Paralympic gold medals, crossed the country in the cab of an eighteen wheeler, and many more chapters to inspire and empower girls to reach for their dreams. I was stirred to write a book for girls after working four summers at Camp Newaygo, a girls’ residence camp in Michigan. I met the most amazing young women who were counselors and energetic campers. They kept my life interesting! I marveled at the potential for the futures of these smart, enthusiastic girls. Faced with so many possibilities for careers, I wondered what choices they would make. This e-book is a good reference for them to learn about a career, and the women’s stories inspire and empower girls to follow their dreams. How is it similar to other books in its genre? How is it different? Girls Succeed is similar to other career books for children because the chapters discuss various careers and the responsibilities of the job, but very different because the women I interviewed also told me about the careers they dreamed about when they were little girls. They share how they made the dream come true. I purposely chose women who are respected in their fields of work, but they are not nationally known celebrities. (Unfortunately this was cited as a reason for publishers not to accept the book for publication. So I published it myself.) I include their advice about perseverance, determination, and dreaming big. This e-book is different in many ways. Each chapter begins with an inspirational quote. Many books include books and magazines for resources, but my little twist is possible because it is an e-book. I added live links to websites about each woman and her career. With one click the reader, if she is connected to the Internet, is linked to a cyberspace filled with facts, guides, and articles. Not only can the reader discover horse woman Pati Pierucci’s story in the e-book about how she became a horse trainer and an award winning dressage competitor, but she can also click on a website to watch the Olympics dressage competition, http://www.youtube.com/watch?v=0te-vc_O04k&feature=related and learn about riding at the Young Rider site http://www.youngrider.com/ . What is the most important thing readers can learn from your book? Besides learning about a career, the reader may identify with the situations in the childhood stories. Living in a home with alcoholic parents, fighting illness, being smart and trying to hide it, or being a star athlete were some of the difficulties for these now successful women to overcome. Even with obstacles in their paths, the women did not give up on achieving their dream careers. It is my hope readers will be inspired and empowered by their stories. Where can readers purchase a copy? 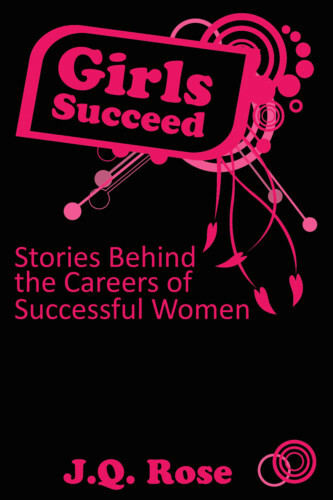 The Girls Succeed book is published, but I continue to find stories about careers and about women both past and present who are considered trailblazers breaking down barriers for women. I feel I have to share their stories, so I began blogging about them on the Girls Succeed Blog. 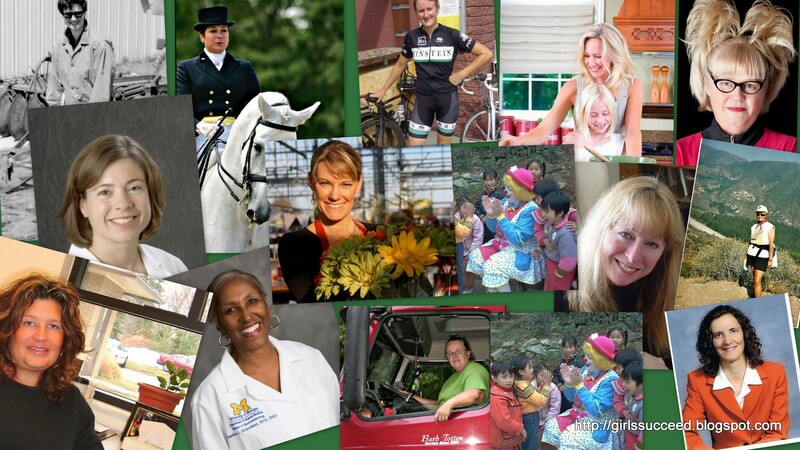 http://girlssucceed.blogspot.com/ I enjoy doing the research on these amazing women. I have a few trailblazers which I plan to feature in another book. Of course I will continue writing mysteries…one about an undertaker’s daughter perhaps??? 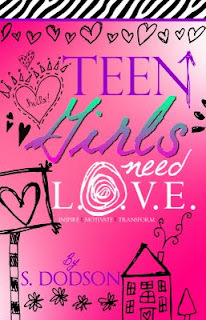 A book meant to inspire, motivate, and transform young women is what you’ll find in Teen Girls Need L.O.V.E. by S. Dodson. Alarmed by so many teens committing suicide after being bullied, Dodson wrote a book to show teens they can overcome any problem that comes their way. From being bullied to peer pressure, from accepting your body image to loving yourself, from owning your future to achieving success and more, young women will get advice on how they can have a L.O.V. E. (Loud Outstanding Voice (that)Echoes). While I think the book would have been more powerful if it had opened with real teens telling their stories instead of those stories being relayed by the author, Teen Girls Need L.O.V.E. has a lot to offer. It gets teens thinking, and that’s a good start. It’s a short book filled with tons of useful advice that is shared in a style that teens will appreciate. Dodson doesn’t talk down to her audience. She shoots straight with them and meets them where they are. I’m going to hold onto this copy for when my girls are old enough to read it. I received a free paperback copy of this book from the author in exchange for my honest opinion. I received no monetary compensation for this review.